Platinum, though officially classified as a precious metal in the late 18th century, is said to have been used in Egyptian jewelry since as early as the 17th century. 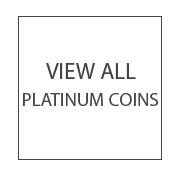 The name “platinum” comes from the Spanish word “platina” which means little silver. It is said that Spanish Conquistadors originally thought that the little nuggets were unripe gold. Platinum remains the rarest of the most prominent precious metals, with its wide scope of industrial applications ranging from jewelry to automobile catalytic converters, and perhaps its most popular use as an investment. Platinum has maintained its position as a highly favored acquisition among collectors and investors, while its counterpart Palladium is primarily sought after by jewelers due to its likeness to Platinum and lower price point. But you’d ask why exactly platinum should be considered a precious metal. We mostly only know about gold and silver. In fact, for a long time, these are the only precious metals that have been used as a store of value. What has platinum done to warrant a place alongside mainstays like gold? To put things into perspective, it takes about 10 tons of ore, which is usually mined for up to six months, to produce one ounce of platinum. This makes the metal about 30 times rarer than gold. Currently, it holds the record for the rarest of the precious metals. If you are in a position to buy platinum today, don’t even hesitate for a moment; it is an excellent way to diversify your investment. Platinum bullion provides the ideal opportunity to invest in the precious metal. There are several advantages of owning platinum bullion. For example, over the coming years, most experts predict that the price of platinum will go up for a variety of reasons, and as such you can expect the demand to be exceptionally strong. But how exactly do you buy the bullion? Well, you have two options; buy platinum coins or buy the bars. The majority of the world’s platinum is mined in South Africa. Platinum coins are produced by government mints such as the Royal Canadian Mint , and the United States Mint. 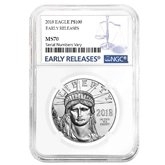 The United States Mint introduced its first platinum bullion coins in 1997 with the American Platinum Eagle. 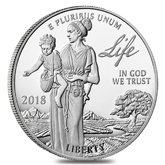 Few varieties of platinum coins have been minted, however, because of its cost and difficulty in refining. More than the actual face value of the coin is in the country’s currency, the worth of the platinum coins far exceeds its face value. Platinum coins typically trade similarly to the other core precious metals. Platinum Coins serve a an advantageous and financially savvy way of enhancing your platinum portfolio with bullion and certified offerings. Platinum bars are another common form of platinum investment. Bars are typically offered in 1 and 10 troy ounce weights, however gram weights are also available for purchase. 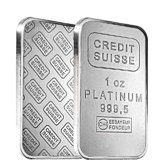 Platinum bars, like gold bars, typically come with a certification authenticating its purity, weight, and mint of production. Platinum products are fewer in number than their gold or silver counterparts so it is best for someone looking to expand their platinum portfolio to purchase the largest pieces you can find since you also pay lesser premium over spot price. For any questions on platinum, platinum coins, and platinum bars, call us today at 800.852.6884, our customer service representatives are also available by e-mail at info@bullionexchanges.com or connect with us via our live web chat and we will be happy to assist.